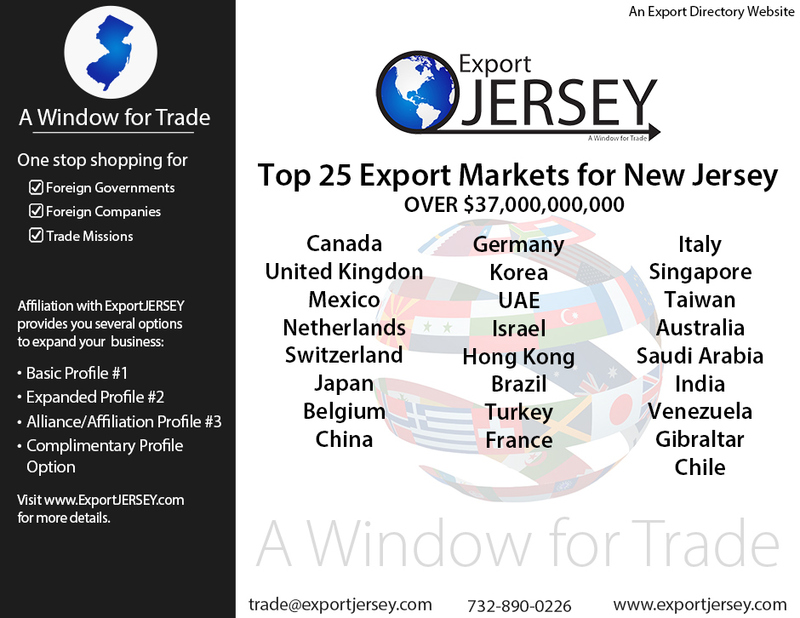 Building the number one resource in New Jersey for Export Trade. ExportJERSEY has business relationships with over 100 countries and their trade offices. As an ExportJERSEY member you can access the ExportJERSEY logo on your website and in your marketing materials.